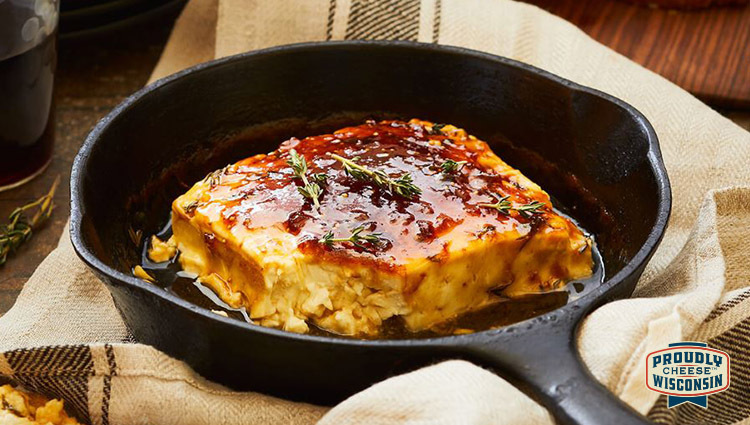 Top feta with preserves; baste with warmed honey from bottom of pan. Broil 3-4 inches from heat for 1-2 minutes or until top begins to lightly brown. Serve with crackers. Tip: Mix and match feta with olives, veggies, cured meats and fruit on a cheeseboard or in a big salad. Sweet honey and preserves balance the saltiness of the cheese in this appetizer; pair it with chilled champagne or rosé, and let the party begin.